Screenwriter Larry Brenner has come a long way since winning third place in ScriptMag’s Big Break competition in 2010. The script that he submitted is already in production, and Brenner is currently working on an adaptation of Danielle Trussoni’s fantasy novel Angelology. This is NOT the film they will be doing! 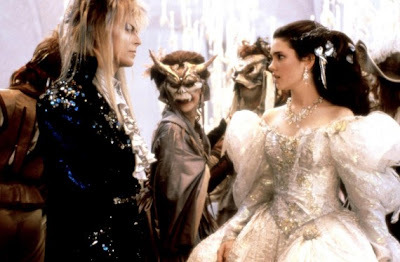 Now Deadline is reporting that Brenner has successfully pitched a script called Labyrinth to Disney, with Jim Whitaker (an executive producer for American Gangster and 8 Mile) set to produce through his company, Whitaker Entertainment. Unfortunately for those of you who were excited by the headline, Disney’s Labyrinth will not be a remake of the 1986 cult classic of the same name, which featured a young Jennifer Connelly questing to rescue her baby brother from the grip of the Goblin King (David Bowie in alarmingly tight pants) and his army of Jim Henson creations. There will no doubt come a day when a film studio decides to remake that film, but we’re not there yet. After he won the screenwriting competition, Brenner’s spec script Bethlehem made it onto the Hollywood Black List and was subsequently acquired by Universal. Bethlehem is quite a different project from the Disney family adventure that Brenner now has planned, and instead tells the story of a vampire tasked with protecting the group of humans that he feeds from, in the harsh landscape of a zombie apocalypse. That’s three of Brenner’s scripts already in development, but will it be the vampire, the angel, or the princess who hits the big screen first?